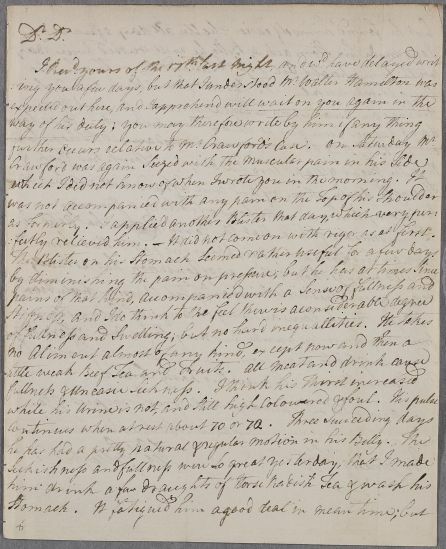 Letter from Thomas Gillespie, regarding the case of Mr Crawford of Doonside. 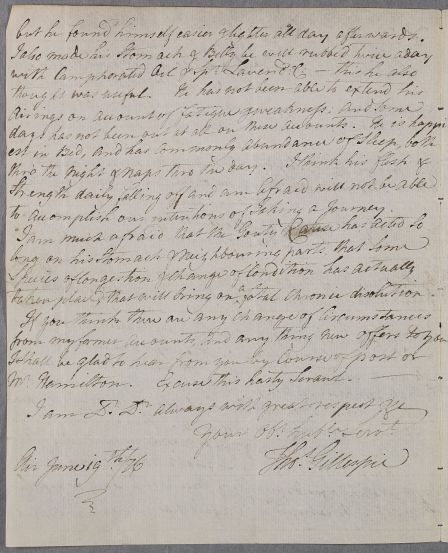 Summary Letter from Thomas Gillespie, regarding the case of Mr Crawford of Doonside. 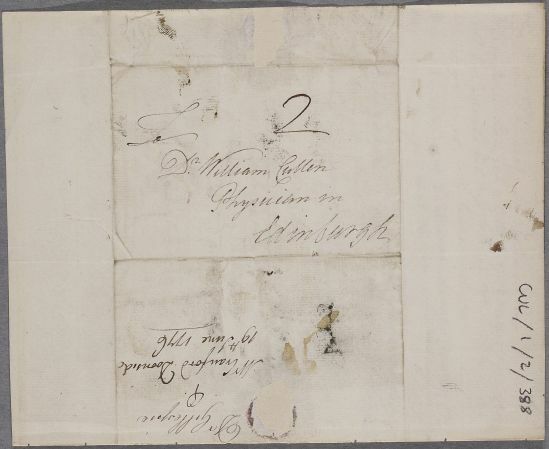 Case of Mr Crauford [Crawford] of Doonside who is being treated for gout. further occurs relative to Mr. Crawford's Case. On Saturday Mr.
fectly relieved him. – It did not come on with rigor as at first. but he found himself easier & lighter all day afterwards. to accomplish our intentions of Taking a Journey. taken place, that will bring on ↑a↑ fatal Chronic disolution. Mr. Hamilton. Excuse this hasty Scrawl.